Is the deal promised the deal delivered? Especially with electronic scanners and payment by the swipe of a card, shoppers might not pay close attention to the actual sum they are charged. We remind shoppers that being charged a higher price than the attention-grabbing low price advertised means they didn’t get the deal they were promised, which may have been the very reason they chose one store over another. Shoppers should compare the price advertised to the price charged by check-out scanners, which are connected to the store computers and are only as correct as the information that has been entered. If a store is in the process of price adjustments, granting additional discounts to attract more shoppers, coordination of price sign postings and computer data input can be challenging. 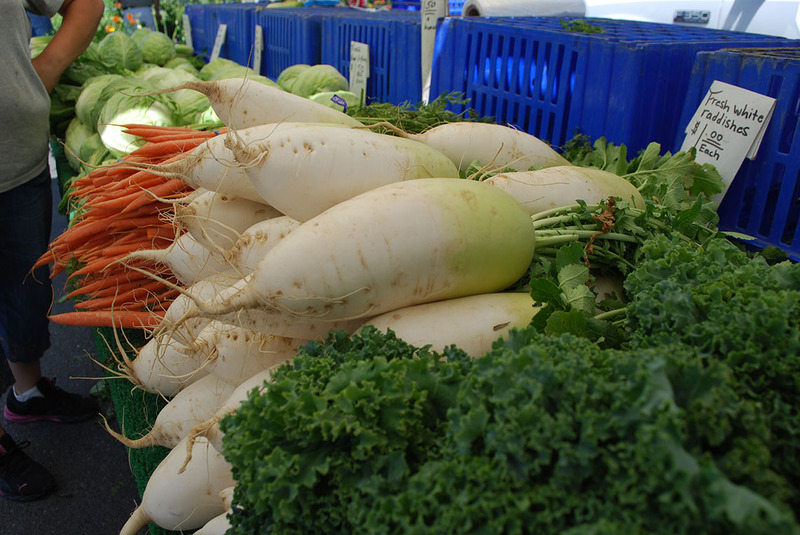 If not yet entered into the check-out system, shoppers may not get the price to which they are entitled. Shoppers are entitled to the lowest advertised, listed, or labeled price for any specific item at a store location. Shoppers should check receipts BEFORE leaving the store to make sure they are correct. If overcharged, a shopper should bring the receipt to the attention of the manager or customer service desk. 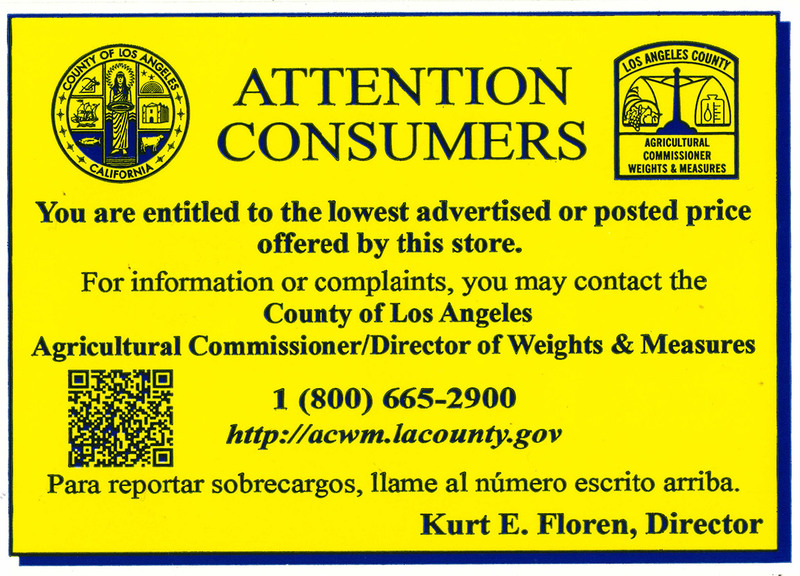 To report errors, shoppers can contact the County of Los Angeles Weights and Measures Bureau at 800.665.2900, or submit a complaint by clicking the link to the left, or email us below. The "Attention Consumer" notice informs consumers that they are entitled to the lowest advertised or posted price by the store displaying it. These notices will be displayed at retail locations and each notice will be clearly visible at all point of sale stations. "Clearly visible," will mean that the notice will be positioned vertically so that it may be accurately read from some reasonable consumer position.